Ministry of Misinformation was developed in response to a work entitled “Political Machinations”. 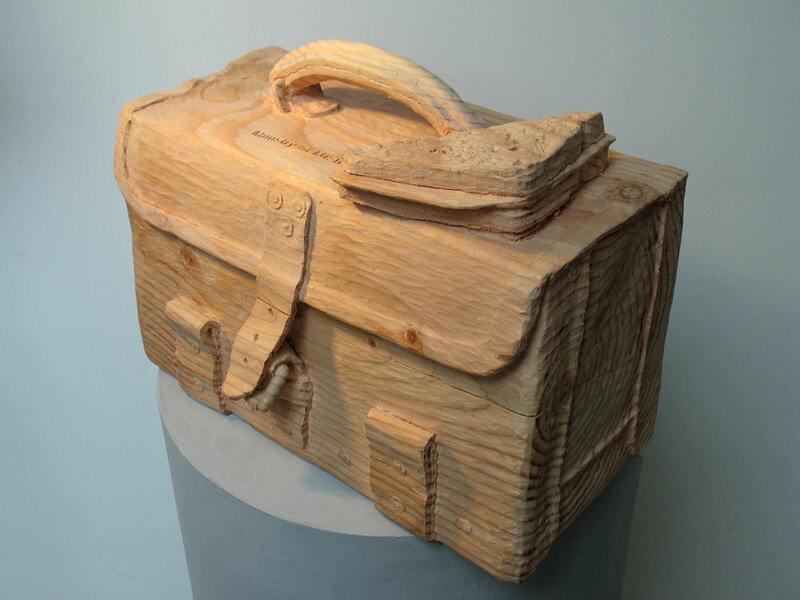 The work is based on a traditional leather case for a portable field radio. At the time there was a spate of scandals in the UK involving government ministers ‘losing’ laptops containing politically sensitive material. 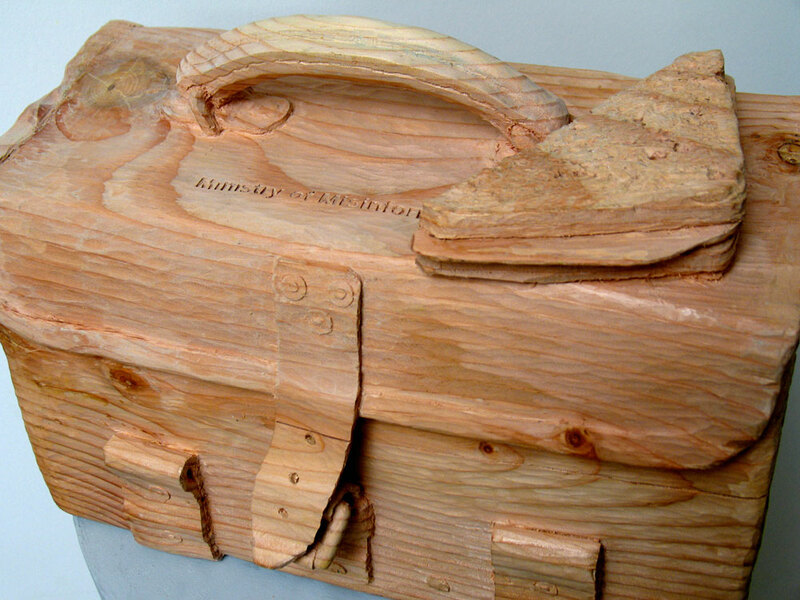 Here I have included a ham sandwich and inscribed the wood with the text ‘Ministry of Misinformation’ which is an oblique reference to Monty Python. 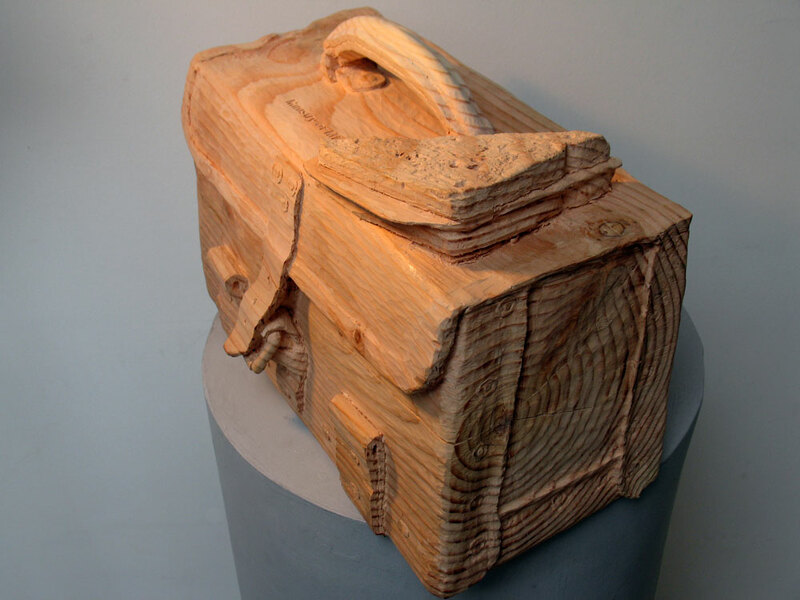 The piece is hand carved from a single piece of Douglas fir and took rather longer than the suggested two-week time frame. 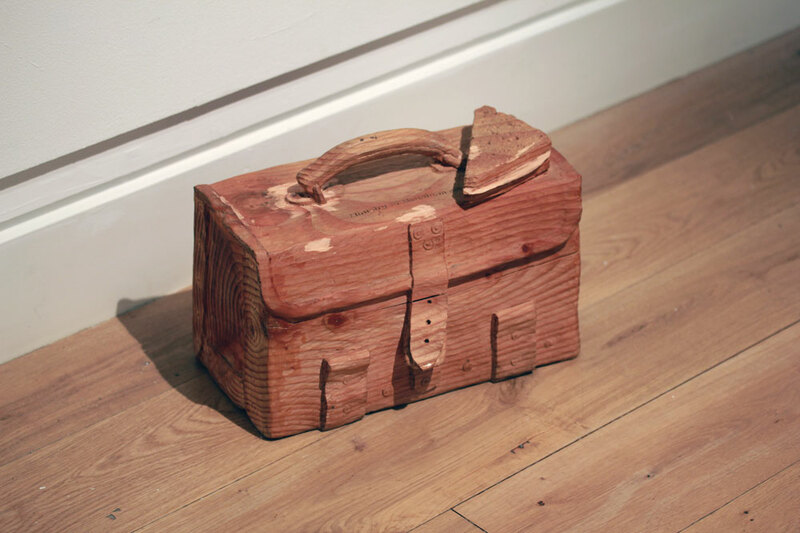 The work was first exhibited for ‘Progressive Transformation’ and recently was exhibited as part of a solo exhibition ‘Surface Tension’ at the Shetland Museum and Archives.